Email Alice Fairhurst if you find any broken links on this page. Links in the Haplogroup column lead to the haplogroup page to which the snp belongs. Links from RefSNP ID (aka rs numbers) leads to data from the National Center for Biotechnology Information (NCBI) website. Links from the Y-position NCBI36 (UCSC hg18) lead to the Family Tree Y-DNA Chromosome Browser designed by Thomas Krahn. Links from the Y-position GRCh37 (UCSC hg19) lead to the UC Santa Cruz browser. Chromosome Y locations based on GRCh37 are different than those based on NCBI36. As time allows, GRCh37 Y-positions and mutations will be added to this page. Explanation of SNPs with Extension Numbers. Added L159.2, L163, L176.1, L176.2, L295, L365, M100.1, M100.2, S169.2, S170, S171, S172, S173, S179.2 on 6 February 2011. Added L75, L157.1, L186, L187, L205, L211, L234, L258, L287, L296, L300, L338, M507, Page123 on 8 February 2011. Added L97, V16, V23, V38, V39, V42, V43, V92, V95, V100 and V257 on 10 February 2011. Fixed some subclades and references on 11 February 2011. Added M481 on 13 February 2011. Added L34, L35, L36, L37, L41, L59, L80, L81, L118, L123, Page47, Page60, S150, S151, S152, and S153 on 18 February 2011 plus some rs numbers. Added L99, L117, L142.1, L143, L241, L250, L251, L252, L335, L336, L337, L339, L351, M35.2, Page 15 on 24 February 2011. Added L138 on 4 March 2011. Added Page27 and Page66 on 5 March 2011. SNPs L66 and L67 were moved to E - Additions/Corrections on 6 March 2011. Added L60 on 7 March 2011. Added L222.1, L339/Page73, L396 and L398 and moved L336 from private to a subclade on tree on 8 March 2011. Removed L396 on 9 March 2011. Added L134, L174.1, L229, L230, L231, L255, L264, L270, L282, L321 on 11 March 2011. Added .1 to M365, .1 to L147 on 11 March 2011. Added P305, Page50, Page52, Page53, Page 71, Page77, Page87 on 11 March 2011. Added Page18, Page72, Page85, Page86 on 11 March 2011. Added L314, L331, L332, L333, L334 and .1 to L272 on 13 March 2011. Added L396, P329, and added .1 to P314 on 14 March 2011. Removed private snps S44, S121, S122, S123, S124 and M100.1 and M100.2 on 17 March 2011. Added L261, L263, L288, L294, L381, L384, L385, M367.2, M368.2, Page4 on 17 March 2011. Added .1 to M147 and added L12, L168, L175, L336, L399, L448, L449, L450, L451, L457, L458, and Page68 on 18 March 2011. Added L298, P326 on 20 March 2011. Added L96, L188, L195, L196, L217, L237, L268, L320, M228.2, P89.2, P314.2 on 21 March 2011. Removed Page73 as it is not equivalent to L339 on 21 March 2011. Added L86.2, L95, L100, L127.2, L130, L132.1, L135, L147.3, L171, L173, L179, L180, L199, L200, L209, L216, L362, L371, L408, L409, L443, M157.2 on 21 March 2011. Removed L8 and L61 and added L194, L220, L238, L253, L276, L289, L302, L326, M228.1, P278.2 on 22 March 2011. Added Page1, Page67, Page 93 on 23 March 2011. Corrected some subclade listings from haplogroup R on 24 March 2011. Added Page 44.1, Page44.2, Page65.1, Page65.2, Page84 on 24 March 2011. Added .1 to L49 and added Page2, Page20, Page23, Page 92 on 29 March 2011. Added Page2, Page21, Page34, Page 46 on 29 March 2011. Added Page17, Page 32, Page35, Page41, Page42, Page51 on 30 March 2011. Added Page30, Page31, Page33, Page36, Page38, Page39, Page40, Page54, Page74, Page80 on 1 April 2011. Added Page8, Page14, Page19, Page28, Page 29, Page37, Page43, Page45, Page55, Page63, Page70, Page79, Page82, Page91, Page96, Page 100, Page108, S182 on 1 April 2011. Added L279, L281, L284, L285, L286, M282, P316 on 2 April 2011. Added L72, L79, L142.2, L149, L154, L183, L190, L204, L240, L293, Page94 on 2 April 2011. Added L299, P317, P321, P322, P327, P328, P330, Page78, Page129 on 3 April 2011. Added KL1, KL2, L127.1, L283, L465, L467, L527, L528, L529, L548, L549, L550, L551 on 26 April 2011. Added private snps L526, L552, L553, L554, L557, L561, L562, L563, L564 on 26 April 2011. Added .1 to L149 and added L149.2 on 26 April 2011. Added L301, L315, L327, L400, L401, L456 on 27 April 2011. Added L64, L555 and changed P278.2 from private on 29 April 2011. Relisted link for L528 in as its placement seems uncertain on 30 April 2011. Added L128, L259 on 30 April 2011. Added L116, L156, L497 6 May 2011. Corrected erroneous haplogroup for L497 on 16 May 2011. Relisted link for L528 as Q1a3 on 16 May 2011. Added L559 on 1 June 2011. Removed private designation from L217 on 3 June 2011. Added private snps L319.1, L577, L580, L583 on 4 June 2011. Changed subclade designations for many snps in Haplogroup L on 5 June 2011. Changed subclade designations for L269, L520, L521, L522, L523 from Private SNPs to G on 6 June 2011. Added V10 on 7 June 2011. Added DF1, L513, Z196 on 14 June 2011. Added R1a private snps L235, L291, L579 on 24 June 2011. Redefined P164 and added P386 on 24 June 2011. Added private snp L605 on 24 June 2011. Added L569, L570, L571 on 29 June 2011. Added S47, DYS643-null and changed L157.1 to simply L157 since L157.2 has been removed from Haplogroup R on 6 July 2011. Corrected subclade name for P386 on 9 July 2011. Added L147.2, L181, L247, L272.2, L272.3, L277.1, L368, L369, L416, L417, L418, L460, L533, L540, S216 on 10 July 2011. Changed subclade for L181 on 14 July 2011. Changed L147.2 to L147.4 on 15 July 2011. Changed L147.4 to L147.5 on 17 July 2011. Added L591 on 18 July 2011. Added Z326 on 19 July 2011. Removed old notation style of using a or b after snps as described in note on top of page on 24 July 2011. Added L472, L474, L475, L476 and corrected rs# for Page87 on 29 July 2011. Added L596, L597, Z8, changed subclade for S47 and L562, and corrected Y position for P63 on 3 August 2011. Added NOTE on snps with multiple Y-positions in a single haplogroup and changed appropriate snps on 4 August 2011. Added NOTE about simplification of phrase about communication to ISOGG Y-DNA Working Group on 4 August 2011. Added Z18, Z19 on 5 August 2011. Changed L220 to L220.1; changed L141 to L141.1; added L141.2, L459, L594, L617, L625, L626, L627, L628, L629, L641, L642, L643, L644, L646, L648, L653, L654, S42, Z49, Z367 on 6 August 2011. Added DF21, DF25, DF25, S191, S192, S193, S215, S253, Z246, Z248 on 10 August 2011. Added L584 on 11 August 2011. Corrected Y position for L136, fixed typo so P9.3 is P9.1 removed rs# and aka M320 for P292 on 18 August 2011. Added L640 on 31 August 2011. Removed L337 from tree as there is currently not enough data for placement on 31 August 2011. Added L86.1, L453, L454, L485, L514, L515, L516, L517, L576, L595, L671, M263.2, Z36, Z56, Z142 and moved Z49 from private on 4 September 2011. Added L372, L631, L632, L633, L634, L635, L636, L637, L682, L690 on 11 September 2011. Added L658 on 14 September 2011. Added Z93, removed L418, L147.5 and added L415 on 20 September 2011. Removed S69 from index on request from Jim Wilson on 21 September 2011. Added L622, S44, Z9, Z381 and removed L247 and L277.2 on 21 September 2011. Added L242, L387.2, L410, L563, L592, L623, L699, L700, L701, L702, L703, L704, L705, L706 on 21 September 2011. Added L657 on 27 September 2011. Added L581 on 29 September 2011. L263, L554 moved from Private to a subclade in R on 30 September 2011. Added Z1893 on 3 October 2011. Added DF19 on 3 October 2011. Added L645, L720 on 6 October 2011. Added M247 on 7 October 2011. Added Z2, Z7, Z280 on 8 October 2011. Added Page79, L504, L507, L511, L537, L542, L614, L788, L789, L790, L791, L792, L793, L795, L797 on 13 October 2011. Removed V45 from R and added L660, L661, L662, L694, L695 on 13 October 2011. Added Page73 on 15 October 2011. Added L655, L656 on 16 October 2011. Added Z1894 on 23 October 2011. Added L402 on 25 October 2011. Added L220.2, L246, L247, L387.1, L463, L466, L681, Page59, Page69, Page90, Page101, Page103, Page109, Page115, Page124, Page125, Page127, Page130 on 26 October 2011. L402, L605 moved from Investigation onto the G tree on 27 October 2011. Added L446, L447, L452, L490, L810, L811 on 30 October 2011. Added Page6, Page113, Page116, Page121 on 1 November 2011. Added L769, L770, L830, L831, L832, L833, L834, L835, L836, L837 on 8 November 2011. Corrected positions for L622 and L623 on 9 November 2011. Addded M291, Z1, Z11, Z156, Z301, Z1111, Z1132 on 13 November 2011. Added L855, L863, L864, L865, L866, L867, L868, L869, L870, L877, L878, L879 on 19 November 2011. Added L856 and changed haplogroup for L132.1 on 20 November 2011. Moved L452 from T (Investivation on 19 December 2011. Added Z12, Z1903 and recoded P76 and M287 in Sources as Private on 21 December 2011. Added DF29, Z58, Z63, Z131, Z138, Z253 on 21 December 2011. Added L132.2 on 22 December 2011. Added Z255 on 28 December 2011. Added L664, Z92, Z283, Z284 on 28 December 2011. Added Z34, Z144, Z367 on 30 December 2011. 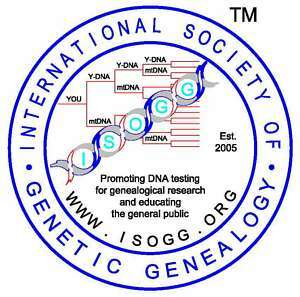 Copyright 2011. International Society of Genetic Genealogy. All Rights Reserved.